Simon & Schuster, 9781451686647, 336pp. “A dead-serious thriller (with a funny bone)” (The New York Times Book Review), from the author of the New York Times bestselling Spellman Files series, comes the story of a woman who creates and sheds new identities as she crisscrosses the country to escape her past. It’s almost impossible to live off the grid in the twenty-first century, but Amelia-now-Debra and Blue have the courage, the ingenuity, and the desperation, to try. Hopscotching from city to city, Debra especially is chased by a very dark secret. From heart-stopping escapes and devious deceptions, we are left to wonder…can she possibly outrun her past? 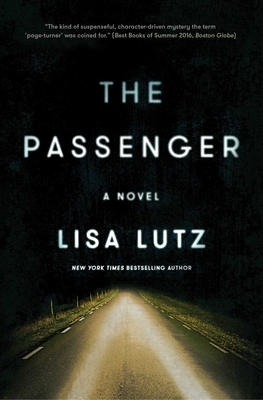 The Passenger’s white-knuckled plot and unforeseeable twists make one thing for certain: the ride will leave you breathless. “When the answers finally come, they are juicy, complex, and unexpected. The satisfying conclusion will leave readers rethinking everything and immediately turning back to the first page to start again. Psychological suspense lovers will tear through this thriller” (Library Journal, starred review).